This policy applies to the Girls Academy website. You can access the Girls Academy home page and browse our web site anonymously, without disclosing your personal information. Girls Academy staff use personal information collected from email and online survey sources to respond to individuals and discuss their particular enquiries. Email addresses and any other contact details you provide will not be added to a mailing list without your consent. We will not disclose your personal information to a third party without your consent, unless we are required or authorised to do so by law or other regulation. In the event of an investigation into suspected unlawful or improper activity, a law enforcement agency or government agency may exercise its legal authority to inspect the web server’s records (e.g.. in relation to hacking or abusive messages). To the extent that this data could make you identifiable, Girls Academy will not attempt to identify individuals from the records the server automatically generates unless that is necessary to investigate a breach of law or regulation. 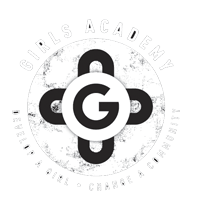 All employees of Girls Academy have a statutory duty to deal with your personal information confidentially (Information Privacy Act, section 67). You should be aware that there are risks in transmitting information across the Internet. If you are concerned about conveying sensitive material to Girls Academy over the Internet, you might prefer to contact us by telephone or mail.